The manual is published in 9 languages and each version includes a final section with country-specific contact numbers and information. Download here in .pdf format. This publication has been produced with the assistance of the European Union. The contents of this publication are the sole responsibility of Osservatorio Balcani e Caucaso and its partners and can in no way be taken to reflect the views of the European Union. 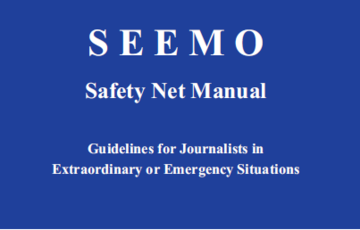 The project's page: Safety Net for European Journalists.A Transnational Support Network for Media Freedom in Italy and South-east Europe.